The Law Foundation of Ontario is pleased to announce the appointment of Isfahan Merali, B.A., LL.B. to its Board of Trustees. Ms Merali is Counsel & Deputy Registrar at the Ontario Judicial Council. Prior to that she was Counsel to the Consent and Capacity Board, practicing administrative and mental health law. In 2015, Ms Merali was elected as a Bencher of The Law Society of Upper Canada and appointed as Bencher Adjudicator to the Law Society Tribunal. She is the first female South Asian Bencher in the Law Society’s history. Called to the Ontario Bar in 1997, Ms Merali is a graduate and former Human Rights Fellow of University of Toronto Faculty of Law. She practiced human rights and administrative law as Counsel to the Ontario Human Rights Commission and was also the Commission’s Acting Registrar. Ms Merali has been a member of the Law Society of Upper Canada’s Equity Advisory Group since 2009 and was the recipient of the Legal Award for Excellence and Leadership from the South Asian Bar Association in 2015. 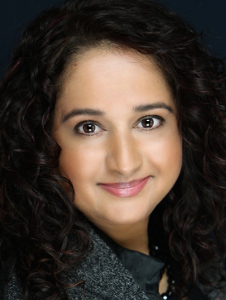 She is a member of a number of associations including the: Ontario Bar Association; The Advocates Society; Society of Ontario Adjudicators and Regulators; Association of Law Officers of the Crown (ALOC); Women’s Law Association of Ontario; Federation of Asian Canadian Lawyers; and the South Asian Bar Association of Toronto.